What an amazing story, and beautiful yarn. Gorgeous yarn, so squishy I’m sure! Another gorgeous yarn discovery that I’d love to try! Thanks for another lovely podcast, and thanks for the chance to win Kismet yarn, I’ve been wanting to try it! Good small business by a farmer and a chef. Such beautiful yarn and a lovely story too! I’ve never heard of cashgora before, fascinating. Beautiful yarn! Thanks for another great episode! Such an inspiring story. I would love to get my hands on some of this yarn! Enjoyed the episode. 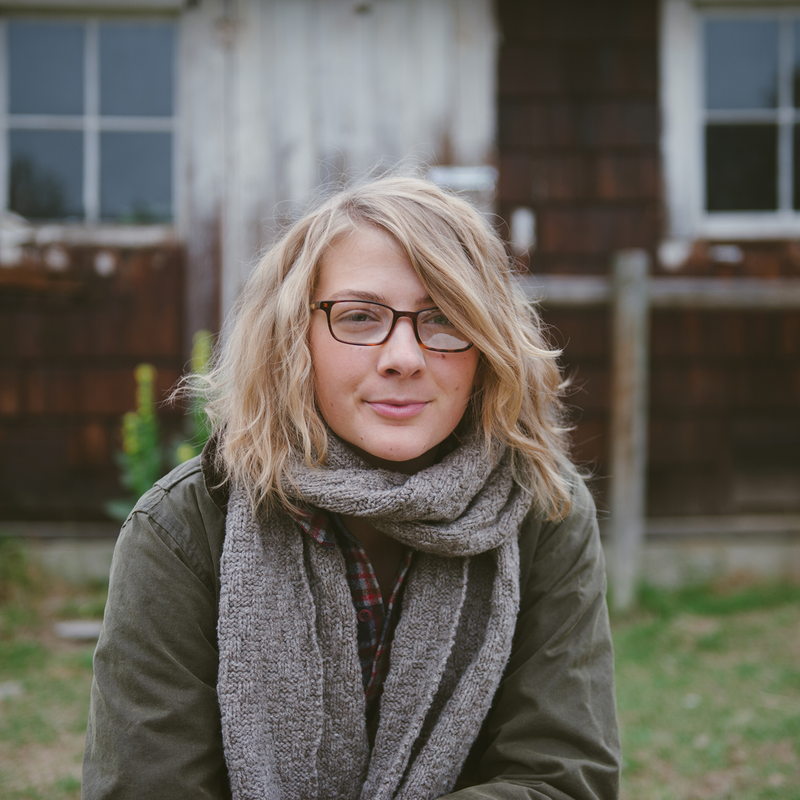 I always love to hear how various yarn makers and dyers and designers start out. So inspiring! Thanks! Thanks for another great episode. What a cool story! Thanks so much for a great interview and for turning me on to this beautiful yarn. I’ve subscribed to their mailing list and can’t wait to get my hands on a few skeins. The colors are vibrant and the yarn looks so rustic and inviting. You can’t go wrong with Kismet! Gorgeous yarn! I also wanted to let you know how much I also enjoyed your personal blog post this past week. It’s so comforting to know that other women struggle in the background of their creative small businesses, and your story was so inspiring. Thank you for sharing, I hope you continue to do so! And keep up the excellent work with the podcasts – they’re wonderful and inspiring, like you. Thank you! I have heard of Kismet Fiber before but after hearing their story on your podcast and hearing what they are involved in, I definitely have to take a trip to their shop! The yarn sounds wonderful! Thank you for this. 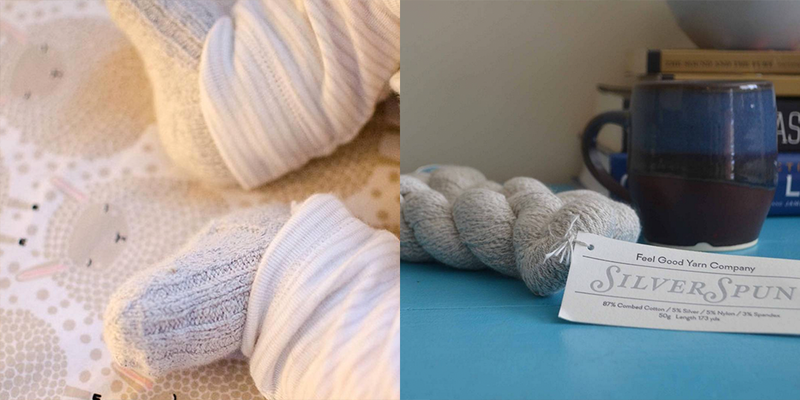 I love Kismet yarns and it’s amazing to know the story behind them. The deep friendship these 2 talented women share is incredibly touching. A beautiful podcast, thanks tons! 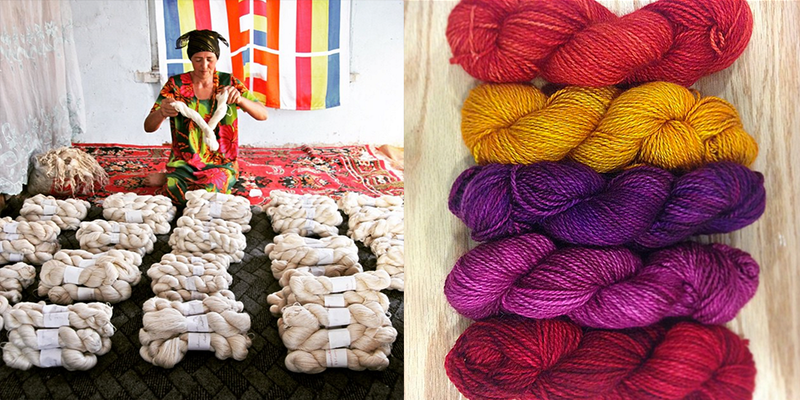 What an amazing story behind Kismet Fiber Work’s yarn! I had no idea. Thanks as always for the podcast. 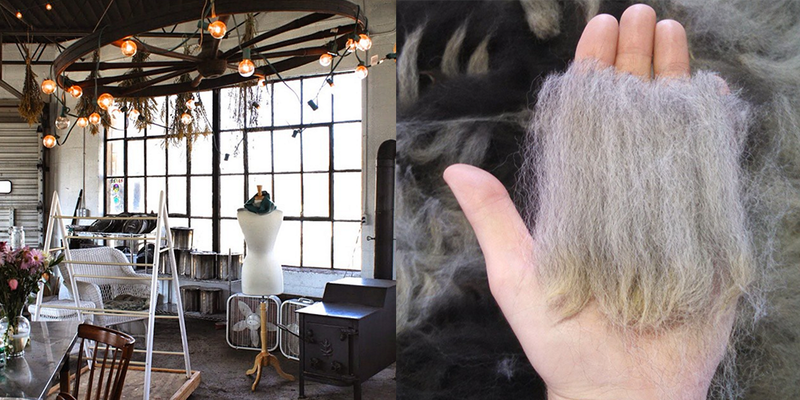 I would love to try the cashgora wool. 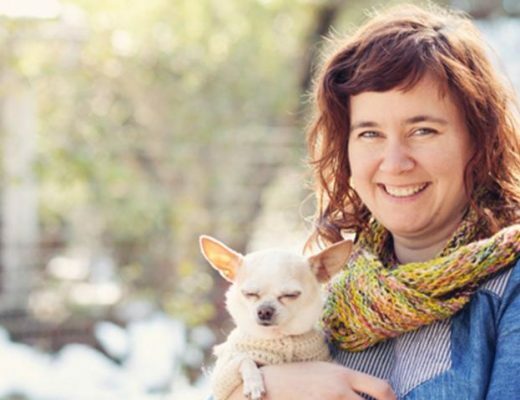 This was a great interview and fascinating to hear about Kismet Yarn. What a great story! I was very impressed that these ladies are helping ladies in Tajikistan! I’ve got a lot of friends from Tajikistan living here in Australia and they are saying that the economy is not getting anywhere and everybody leaving either overseas or just to Russia mainly to work in the construction or cleaning. Great Job! Great episode, loved hearing the story behind Kismet! 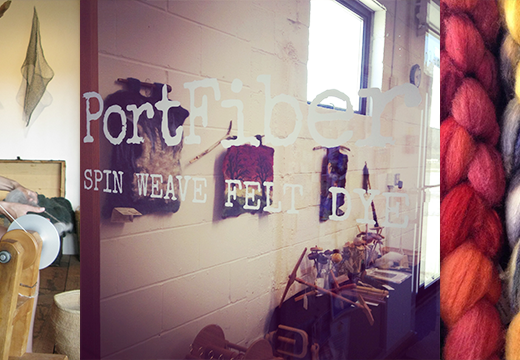 I am so inspired by how people started their fiber journey. Thank you for sharing their stories! Such a rich episode! Lovely yarn too. Great episode. 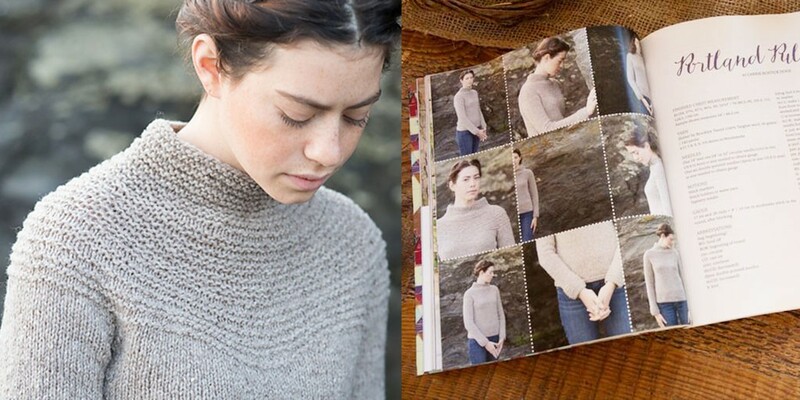 I will definitely check out kismet fiber at vogue knitting live next week. Very informative episode. I enjoy hearing the stories behind various yarns. Just finished listening to this week’s podcast. Great stories, wonderful women. I was especially intrigued by their different yarn lines, supporting local resources and helping women in countries with more difficult economic situations. Keep up the great work! I love your podcasts. 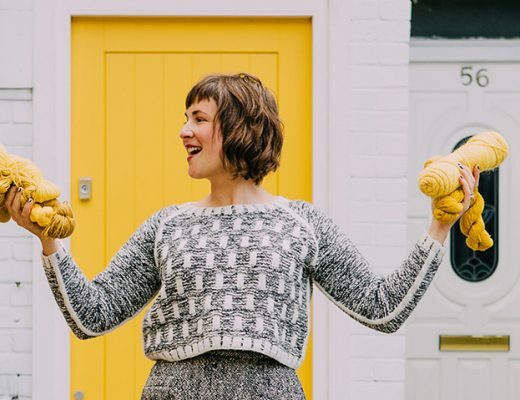 Great story of the Kismet Fiber Works, it’s lovely to hear how they’re connected and inspire each other. There’s so much to love about Kismet. I really support their vision and ethics, and hey, that cashgora sounds amazing! Thank you for another great episode! I love yarn & knitting – it’s exciting to hear that yarn is making a difference around the world in such an awesome way. I’d love to win their beautiful yarn so I can give it a whirl on my needles! Amazing super fun journey! Thank you so much for sharing it! What a wonderful story! I would love to try the yarn. The yarn knit up looks wonderful! I enjoyed hearing about how Kismet came to be. I never miss an episode. Your voice is so soothing. Thanks for all the hard work that goes into the podcast. I got a spindle for Christmas so I will be following your adventure this year with great interest. I really loved this weeks podcast. I was very interested and impressed with the work of Kismet, particularly with the women’s cooperative in Tajikistan., as I used to work near that area of the world. I currently work in Bosnia and the stories on this weeks podcast struck some similarities with those I have seen in Bosnia, where women have used their skills in finer arts to create a way of life and find healing from trauma experienced during the war. I would recommend checking out the group Udrezene in Bosnia as they are an amazing group of women who knit and create in this way. Thank you for sharing another inspiring episode! So many amazing Fiber Folk, I want to participate in their monthly head to toe campaign, super way to experience their different fibers. Looking forward to an exciting year of your podcasts. What a wonderful way to start the new year. I am so inspired to go out and achieve my fiber dreams in the coming year! Love Stephanie and Angie’s vision! And the Pamiri Cashgora yarn sounds amazing! Would love to win!! This was such a beautiful story! 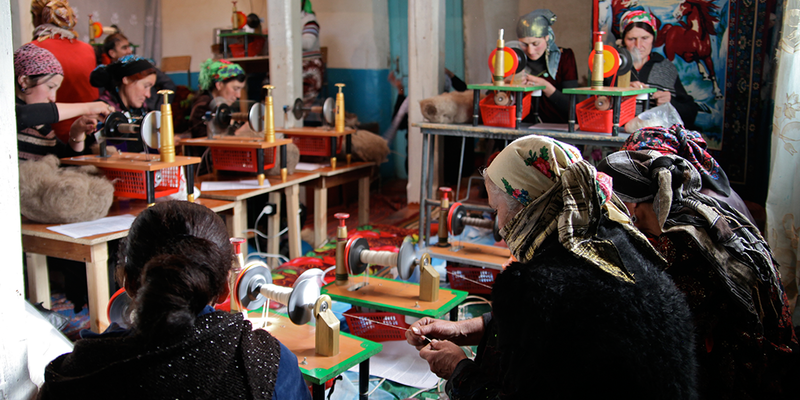 Love the involvement of Kismet with the Tajikistan women’s co-op. I am a new listener and am completely hooked (no pun intended) on your podcast. Thanks for bringing us these amazing tales! Thank you so much! Is great to know more about Kismet! I can’t wait to go check out Kismet’s yarn. The stories behind their business are inspiring! This is such an inspiring story! Love your podcast! Wonderful episode, you and the kismet ladies are an inspiration! So nice to hear about women helping each other, it really does raise the quality of life for everyone in an area when the women are involved in the economy. Thanks! Another great podcast. Several things piqued my interest. Re-vamping my five year old hobby business that has been on hold the last three months. 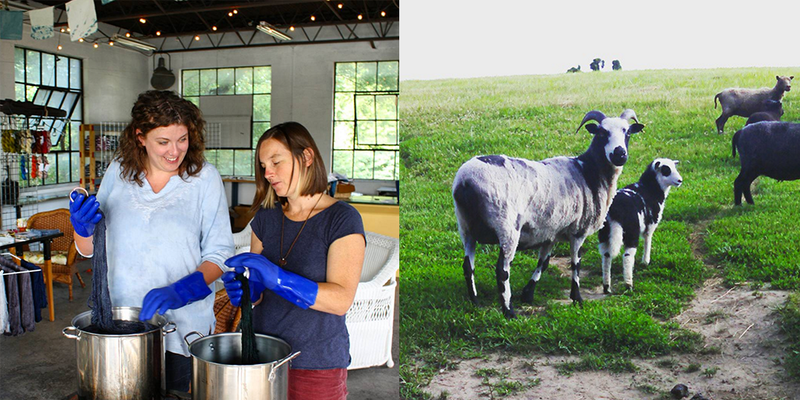 That it may be time to make a serious plan for fiber goats, not just dreaming about it. Finishing my first sweater (barn sweater, Taproot!) so I can start another. And checking out what brioche knitting is. Among others. Wonderful episode! Such an inspiring story! very inspiring…thank-you for the opportunity to create with this beautiful yarn! I love yarn with a storied backbone to it! I loved listening to the story of how Kismet was born, and hopped over to their website. The Pamiri Yarn looks so awesome, I love knitting gifts with yarn that has a great story to go with it. I’m finally catching up with your podcasts, and dreaming of casting on Portland Pullover which looks like the perfect winter project. Another great episode. Thank you. I loved hearing about two friends starting a business together. It’s sweet and inspiring. I was touched by the work that is helping the women be self- supporting. If only it would work here, too. Very interesting, as always – thank you. Lovely podcast. Kudos to the Kismet team. 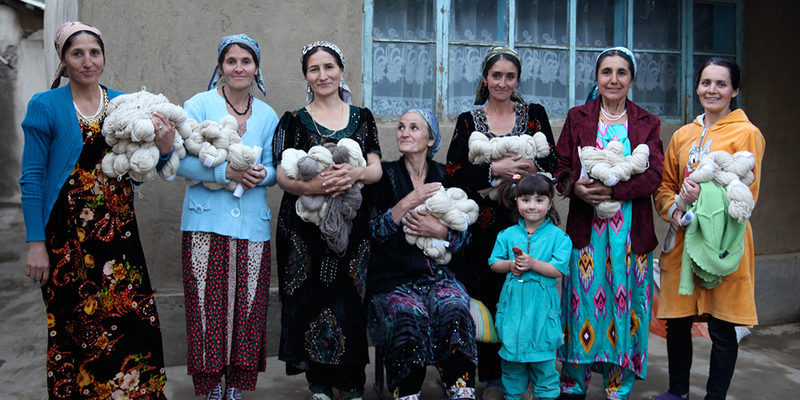 Besides supporting US local yarn, I am encouraged to hear about their partnership with the women in Tajikistan. Empowering women in areas of the world where life is so difficult is a wonderful project… changing the world one fiber at a time. Kudos to all…. Thanks for another great, informative interview! 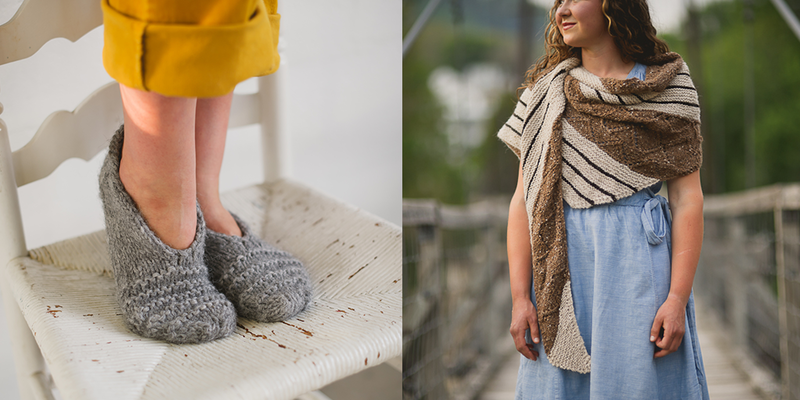 Inspiring story and beautiful yarn! This is one of my favorite podcasts. 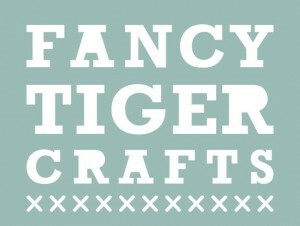 And this week, it was so interesting listening to the owners of Fancy Tiger Crafts – loved them on CreativeBug!! I really enjoyed listening to the genesis of Kismet Fibers. A truly engaging podcast! I’d love to knit up something in their yarn. The head to toe idea rocks!!! 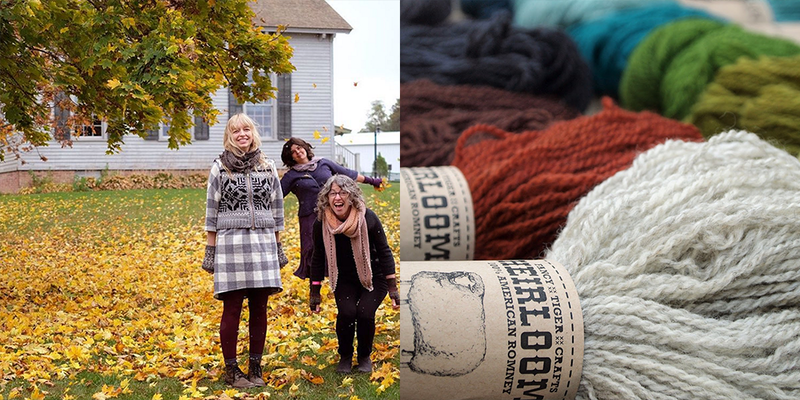 I so enjoyed listening to the story of how Kismet Yarn Co developed and am so happy that they will be at VKL this weekend! I will make a point of stopping by and saying hi. And squishing their yarn! This was a feel-good, inspiring episode. Thanks. Love your podcast, it keeps me company while I find some time to knit in peace. Really enjoying listening to the podcast. Thank you! I always leave the Woolful Podcast inspired and determined! Thank you for this ! What a great story! I wish I was closer to New York. love the stories behind the yarn! Marry a boy and find your in-laws have a herd of alpaca and just don’t know what to do with all that fiber? I think I had a dream like that once. Beautiful yarn! I really enjoy listening to your podcasts! 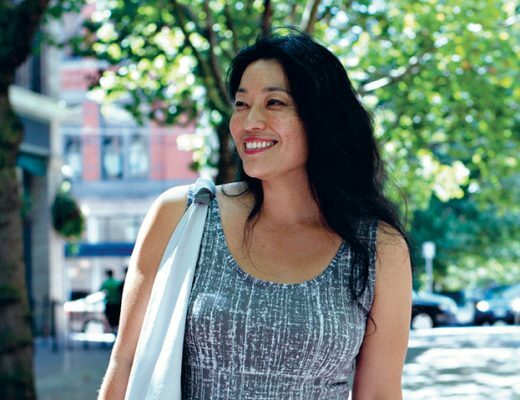 Beautiful yarn, wonderful interview, thank you. 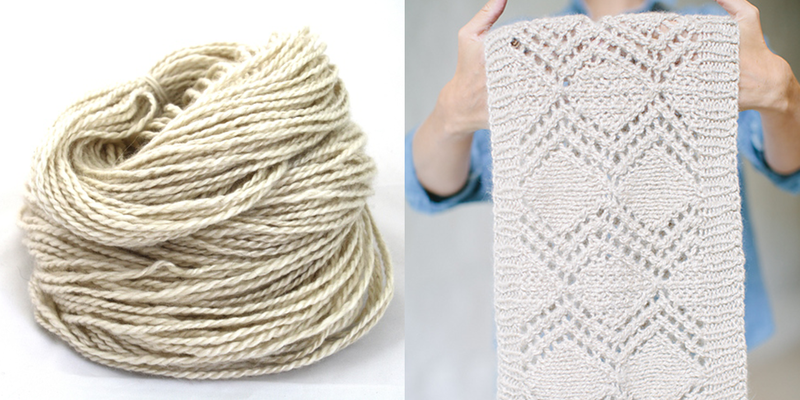 new year // new yarn obsession! 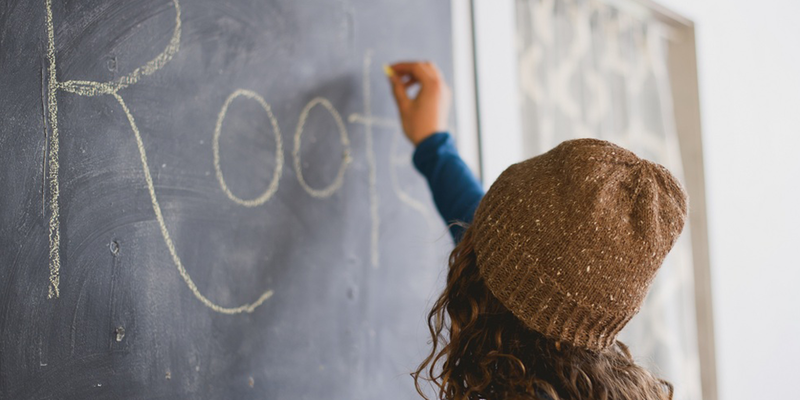 What a wonderful story around how American entrepreneurs are helping women across the world accomplish similar goals! Great podcast as usual. I’m sorry I missed Kismet Fiber Works at VKL last weekend. I was only able to go on Saturday and only for an afternoon which is really not enough time for a show like that. And I missed the Tajik women demonstrating their craft entirely. I’ll be on the lookout for their yarn in the future.